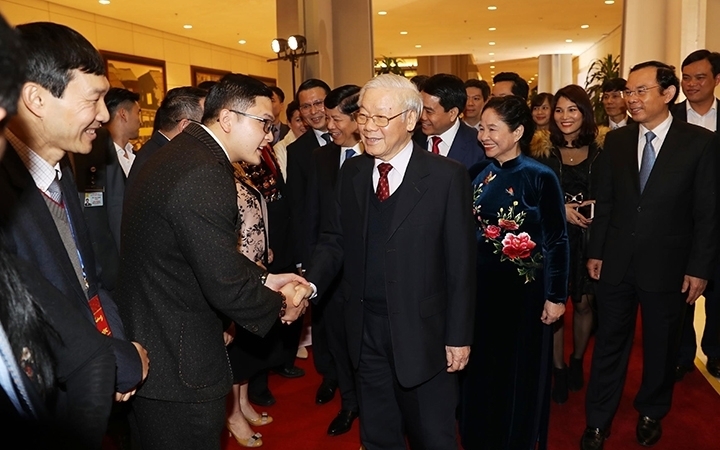 Party General Secretary and President Nguyen Phu Trong warmly welcomed overseas Vietnamese from all over the world as they returned to the fatherland to celebrate Tet (Lunar New Year 2019). The Party and State leader also sent his best Tet wishes to Vietnamese expatriates at the 2019 ‘Xuan Que Huong’ (Homeland Spring) programme held by the State Committee for Overseas Vietnamese Affairs under the Ministry of Foreign Affairs, in Hanoi on January 26. The annual event brought together Deputy Prime Minister and Foreign Minister Pham Binh Minh, Head of the Party Central Committee’s Commission for Mass Mobilisation Truong Thi Mai, Secretary of Hanoi Party Committee Hoang Trung Hai, and approximately 1,000 overseas Vietnamese, among others. 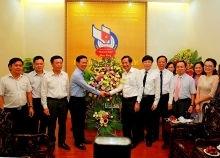 The Party and State leader affirmed that the overseas Vietnamese community is an indispensable part of Vietnam. He informed the overseas Vietnamese of the national achievements in the past year, which were attributed to the Party leadership and the solidarity, strength and joint efforts of the whole people, including significant contributions made by the overseas Vietnamese community. The event also included a number of art performances featuring the beauty of Vietnam and the love for the country, as well as praising the Party and President Ho Chi Minh, performed by both domestic and overseas artists. *Early on the same day, Prime Minister Nguyen Xuan Phuc held a reception for overseas Vietnamese who have returned to Vietnam to attend the Homeland Spring program. The Government leader expressed his delight at meeting the overseas Vietnamese, while sending his Tet wishes to overseas Vietnamese across the world. He spoke highly of the overseas Vietnamese community for investing in a number of projects in Vietnam and for preserving and promoting the cultural and traditional values of Vietnam.